American race car driver who was named 2010 ARCA Racing Series Rookie of the Year. He began his racing career with go-karts at the age of six, winning the 1998 World Karting Association Championship. He competed in his first NASCAR Nationwide Series race at the 2012 Ford EcoBoost 300 at Homestead-Miami Speedway. He grew up working on his family's farm, a corn and grain operation that produced 1.9 Million gallons of ethanol fuel every year for energy programs. 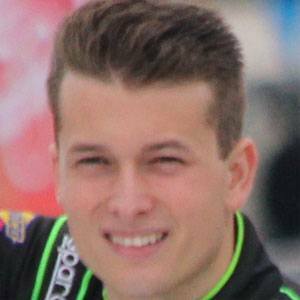 He signed with Richard Childress Racing in 2013.